Film school has done a lot for me ever since I began taking courses. I’ve always had a great understanding of the history of film but have holes in my knowledge. Just recently I discovered a gem that had been hiding in plain sight this entire time. That gem is a silent comedy by the great Charlie Chaplin called The Kid. A simple title with a simple premise that just fills you with pure joy. I dare anyone to see this film and not grow a huge smile across their face. The Kid follows the story of an infant who is deliberately left in a car by his mother because she does not want to take care of the child. A couple of thieves steal the car, realize there is a baby inside, and leave it in an alleyway. From there Charlie Chaplin’s character simply called The Tramp discovers it and does everything he can to get rid of the thing. None of this works and he ends up bringing it home and raising it where we cut to five years later and their life has grown. The first sequence we see with Chaplin trying to get rid of this baby is hilarious. He puts it in a stroller and the owner makes hit take the child back. Then he tries to just put it back next to the dumpster when a cop spots him, so he has to take it back. The intelligence needed to compose a scene like this is incredibly difficult to achieve and Chaplin captures it brilliantly. Now we are five years later, and we see where their life has gone. The Tramp has raised this child to be a con man just like him and their dynamic is stunning. It is amazing to watch this kid go out and throw rocks at windows just so Chaplin and go and make money by fixing them. The entire film is filled with silly sequences like these. One day the kid gets into a fight with another and at first Chaplin is concerned but then starts taking bets that his kid is going to win. This is the best sequence of the film and where it goes next I will not say but it just puts the cherry on top. Throughout all these moments of hilarity there is also an emotional core. The mother who left this kid alone at the beginning now realized she made a mistake and is searching for her child. At the same time you don’t want her to find her child because you love his relationship with Chaplin. It is incredible storytelling. There is a reason why Charlie Chaplin is one of the most revered figures in cinema history and The Kid is a huge reason why. Charlie Chaplin is a genius in storytelling. He is able to combine drama and comedy perfectly without a single line of dialogue uttered by an actor. The greatest filmmakers say the best movies are the ones you can watch on mute and still know what’s going on and The Kid is one the greatest examples of that. Chaplin is one of the first auteur’s to ever come into existence. He wrote, acted, directed, produced, edited, and composed his films and that is not done anymore in movies. I can feel the passion coming from Chaplin in The Kid is just how much this means to him. Everything is executed perfectly. What I want to end by saying is please do not disregard silent movies just because there is no talking and it is in black and white. Without these films there would be no movies today. 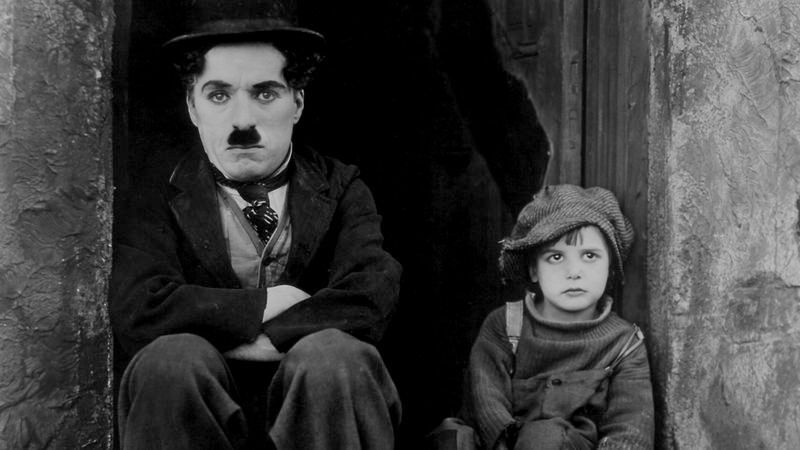 The Kid was made in 1921 and I consider it to be one of the best comedies of all time and not a single one-liner is told. You can check this film out on YouTube right now and I encourage you to do so. There is a reason Charlie Chaplin is one of the most well-regarded figures in history and his legacy will live on forever in The Kid and all of his magnificent work.